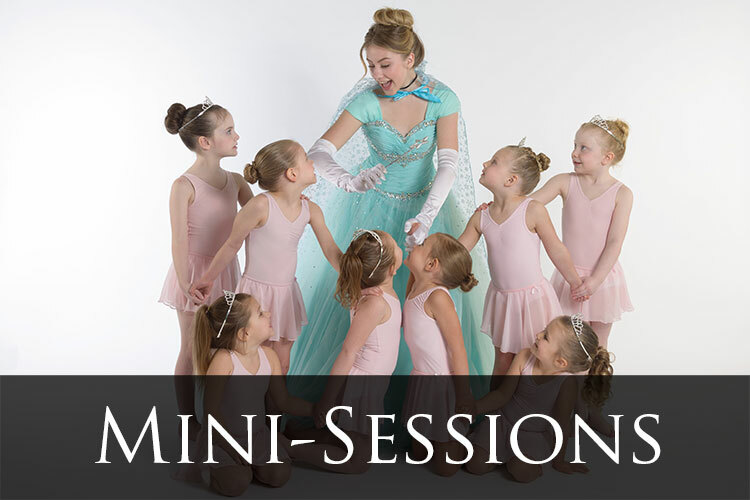 240+ CLASSES to choose from!Ballet, Jazz, Tap, Hip Hop, Tumbling, Preschool Classes...and so much more! Utah Dance Artists develops artistry technique confidence in dancers. This is our second year at UDA with my girls. I have been so impressed by their organization, love for the students, and high level of dance education. My girls have had a total of 6 teachers over the years and we have been so impressed with all of them. The office staff does such a great job of getting back to me with my endless list of questions. They have manuals on how to do everything, email reminders, schedules far in advance for busy families. This place is organized to T. The end of year recital IS a lot of work but it really is so worth it. I turn into a big cry baby watching my girls dance and seeing how far they have grown. We just love UDA. I cannot say enough wonderful things about Utah Dance Artists!!! The owner, Brooke, was so compassionate with my girls, took them into their classes, introduced them to some of the other students, helping them to feel welcomed. I appreciate how organized and efficient they are! Everything from what to expect, to tuition and fees, to recital guidelines, is laid out in an easy-to-understand format. The dance teachers are INCREDIBLE! I love how professional their recital is, how modest and appropriate the costumes are, and how hard each of the teachers work to make sure their class is having fun. We just finished our first year of dance for my 4 year old daughter and UDA exceeded all of my expectations. My daughter absolutely loved dance class, but she was also a little clingy and got impatient in some of her classes and during the recital. Despite being a handful, everyone at UDA was accommodating, friendly, helpful, and encouraging. It wasn't just one person, it was the entire UDA team including our awesome teacher, Miss Laura. 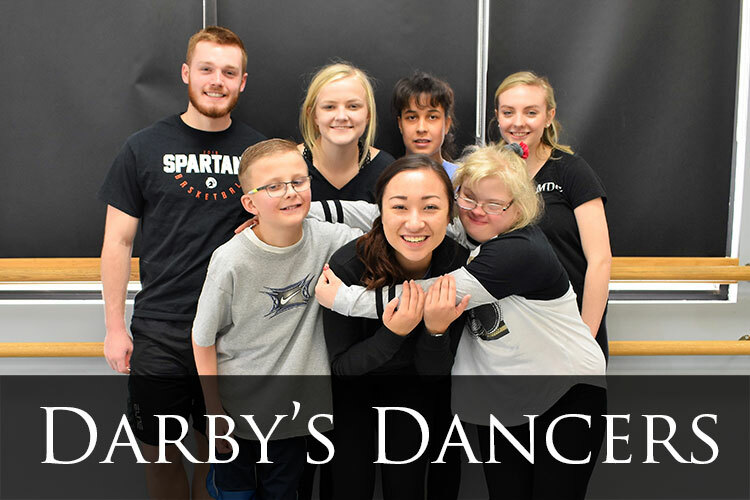 I am grateful to everyone and I am so happy to have found a professional dance company that offers exceptional dance instruction but is also inclusive and supportive. Thank you, UDA! This is our third dance studio for my daughter, and with so many to choose from in the valley we had a tough time making a choice. We had heard many good things from several people about UDA, and the longer we are here the more good things we have to say about it. The quality of the dance training speaks for itself (you watch their performances! ), but I am most especially impressed with how ORGANIZED they are. I really appreciate that they reinforce good values here and make that a part of the curriculum. Can't say enough good about UDA, and I have a feeling we will be here for the long haul. I teach Ballet at UDA and I absolutely love it there. The owner, Brooke, goes above and beyond in creating and ensuring every detail is taken care of. Everyone is so positive and friendly. The first class I ever taught there, the students ran up and all gave me a hug at the end of class. I was taken back by this sweet gesture. I have taught at various studios with a big name on the door and a snooty attitude. I couldn't believe how humble and loving the students were. It was refreshing! I love that if any problems or concerns occur, they taken care of in a efficient and non-drama way. UDA makes you feel like family! I just wanted to thank you for the many great years we've had at UDA. The girls are going to miss UDA so much!! Dance has been a wonderful outlet for McKay and Holland. They are stronger, kinder, and happier because of the principles taught at UDA. They were not only taught how to dance, but how to be better people. They've had so many role models at UDA from your faculty as well. I appreciate all you do to make UDA a home away from home for my daughters. We will miss you and hope to see you when we return to the area in a few years. My daughter, Lexie, has been taking dance for the past 9 years at Utah Dance Artists. She has taken a variety of classes ranging from Ballet, Jazz, Tap and Modern. I have been so pleased with her dance education at UDA. There is a very positive atmosphere that allows dancers of all levels to progress and achieve their goals. They have taught her not only to dance, but to work hard, to have confidence under pressure, and how to be a great performer. UDA has played a big part in helping Lexie grow in so many ways. Thank you so much! My parents have now been to four granddaughters’ recitals and were greatly impressed with tonight’s UDA recital, far more than the others. We all agreed; no babies, no cameras, no grabbing your kid after their number and leaving, no one standing in front of you, no lame MC . . . . all things that were present in other performances and are so annoying. I loved the classiness and the professional show that was put on. And love the uniformity. I appreciate how kind and personable Brooke Maxwell (owner) is to her students and parents. We have been at other studios and never before have we been treated with such love, kindness, and friendliness by the studio owner. She knows my name and my children. I have been so appreciative of this. I’m not made to feel like I’m bothering her if I have a question. I can feel that she truly loves and cares about her students and their families. 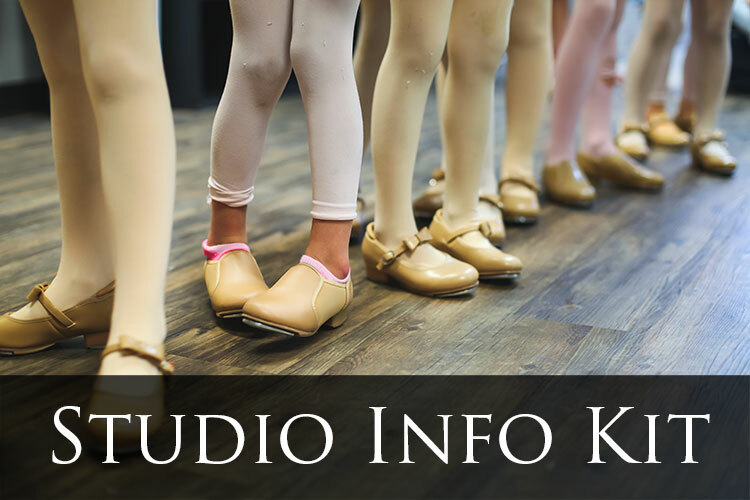 UDA is a great studio for kids, and especially for families who are seriously looking into a future in dancing for their children. Although the teachers are great and fun, there is more seriousness in the classes and especially in the recital experience than most studios. I absolutely love it because we would love for our dancer to one day be involved in dance when she is older and this studio is the best place for her to start. 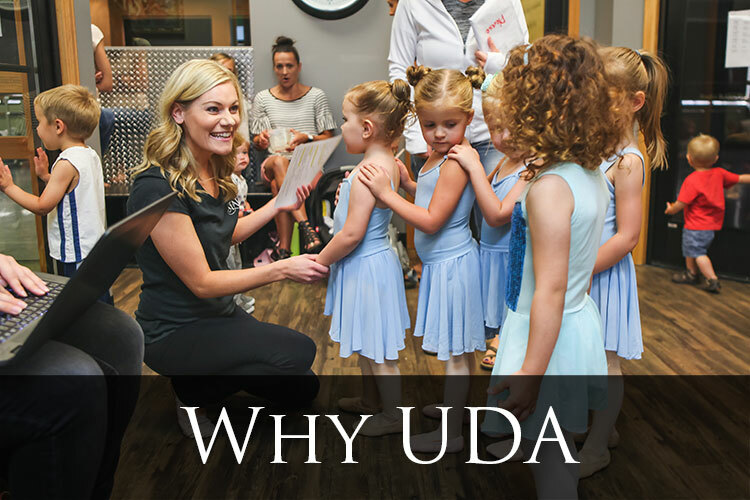 UDA is a fantastic dance studio that teaches technique first so that children have the essential building blocks of good dance ability. I love everything that UDA offers to my girls, they are caring and the girls know that the instructors care about their emotional well-being. My girls get top notch instruction and their recitals are excellent and well organized. My favorite thing about UDA is that my girls LOVE to dance and the instructors, staff, directress, etc. have gone out of their way to make it a positive learning experience for them. I like the Stars program – the girls really like to perform and this gives them an outlet for that which in turn keeps them excited about attending classes. My 2 daughters have been at UDA for a year and we LOVE it! So impressed with their customer service and communication. They are professional and caring. I especially love how the owner, Brooke, is so willing to help you find the right classes for your dancer so they can achieve their goals. I highly recommend it! UDA is the best studio in the Salt Lake Valley! You won’t find another studio that has the same level of professionalism, quality teachers, and organization. I would also say that if your child is serious about dancing as a career in the future then this is the studio you’d want to be at. I love the staff. They make my daughters feel loved and an important part of the dance class. They always encourage my daughters to do their best and to improve. Dance at UDA has improved my daughters self confidence and self-esteem and that makes it all worth it for me. Emma loves dance at UDA. She is learning to work hard, listen to teachers, as well as getting a good dance education. She has great friends both young and old and I think dance is adding a lot to her childhood. It has overall been a very positive experience. The recital was so great! I could tell you all were a little stressed and relieved to have it over, but I thought it went very smoothly on my end. You guys do a phenomenal job. I love love how organized and on top of it all you guys are. This is my second year at UDA and I love it! I dance on the varsity competition team and I love the challenging environment. We have hardworking teachers and everyone is inclusive and respectful to one another. I 10/10 recommend dancing at UDA! I love that you are teaching my daughter correct technique. I love that she has the opportunity to advance. We’ve spent way too many years in “neighborhood” studios with not much to show for it. What a waste of time and money. I love that UDA is not like that. In regards to communication, UDA understands any questions I’ve had about our account. They have a full understanding about what will be taught/is being taught. If they don’t know the answer they make an effort to find it. I love how professional the recital is. I have been to other recitals that kids are running around, the parents are going back and forth to backstage, just total chaos. I don’t mind paying a little more to get a good recital. This is our first year at UDA and I couldn't be more impressed. When you walk into the studio it is always clean and the staff are always friendly. We switched from another dance studio and I couldn't be happier. Fabulous, wonderful, a mix between professional teachings and fun to keep the preschooler entertained; and lots of technique to start my little dancer down the right path. A great dance studio! UDA is very professional and organized with great instructors and great communication with parents. I feel like they really know and care about my child. Dance can sometimes be a poor environment for girls. At UDA there is always a positive feeling; costumes and music are appropriate and still trendy and fun. UDA is high level dance studio that teaches and emphasizes correct technique in a very organized fashion from the very youngest classes up. In regards to the recital experience, I felt like you have the recital behind the scenes down to a science. It is very organized and seems to run very well. My favorite thing about UDA is the organization, genuine regard for dancer’s feelings and parent’s feelings. Teach the fundamentals and how to improve each year. UDA is a school run by warm and friendly staff, with emphasis on technical correctness and personal interest in the students’ progress and learning. You guys are really have it together. You never miss a detail getting e-mailed out. UDA has very effective at communicating. Great teachers, quality experience, reasonably priced many different classes to choose from, convenient location. My kids have loved it here! UDA is amazing. Student focused, not bottom line focused. The focus is on the whole student…love the strong ballet program. The teachers really care about the kids in their classes. They are very professional and are passionate about dancing. They are professional and very committed to each girl and boy that attends UDA and the staff is very passionate about what they do. UDA is well organized, has talented instructors, and is reasonably priced. Great place to get a good foundation for technique and performing skills. UDA focuses on technique while still allowing the girls to have fun. This is a faculty to be envied by any other dance studio! UDA is everything you need to create an amazing dancer! Enroll Now!